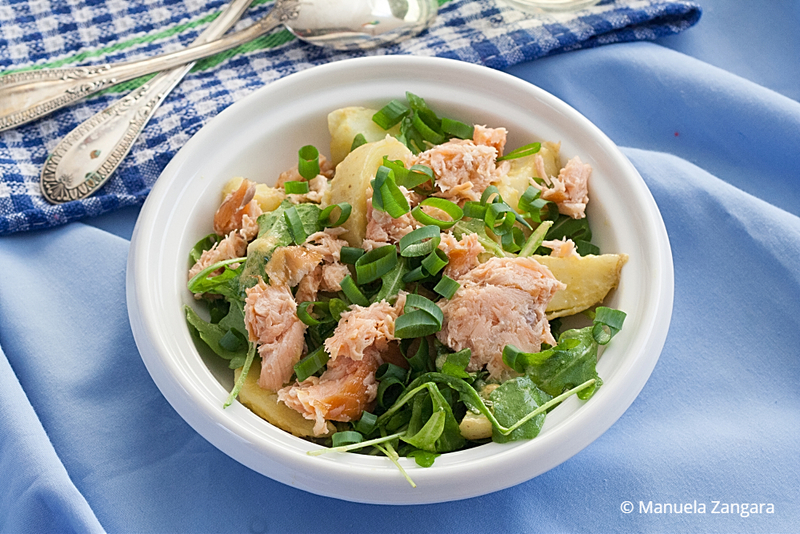 Today I am sharing with you the recipe for a hearty warm salad: Warm Salmon and Potato Salad. 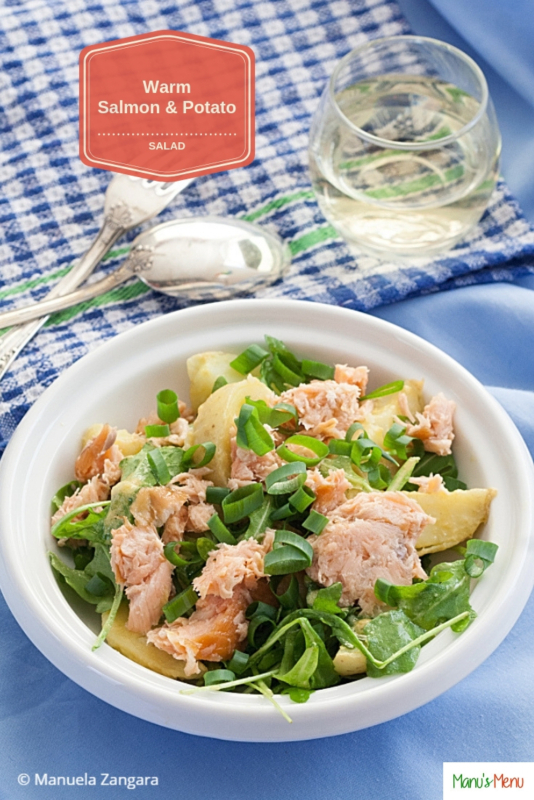 I am absolutely in love with this recipe and it has become one of my go-to recipes for a quick and satisfying lunch. 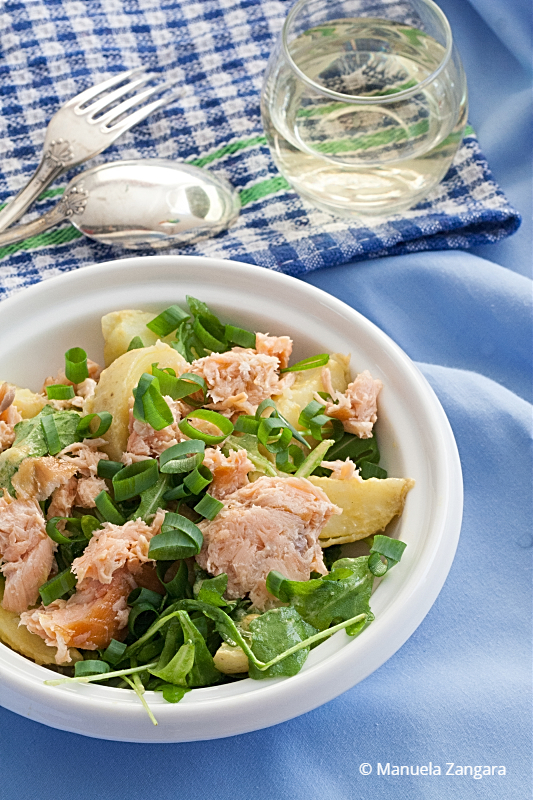 This salad is naturally low fodmap, so it can be enjoyed also by people with IBS. 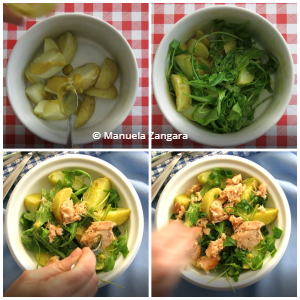 I have made it both with canned salmon and with smoked salmon chunks and, even though I like them both, I prefer the smoked salmon version. Try them both and let me know! 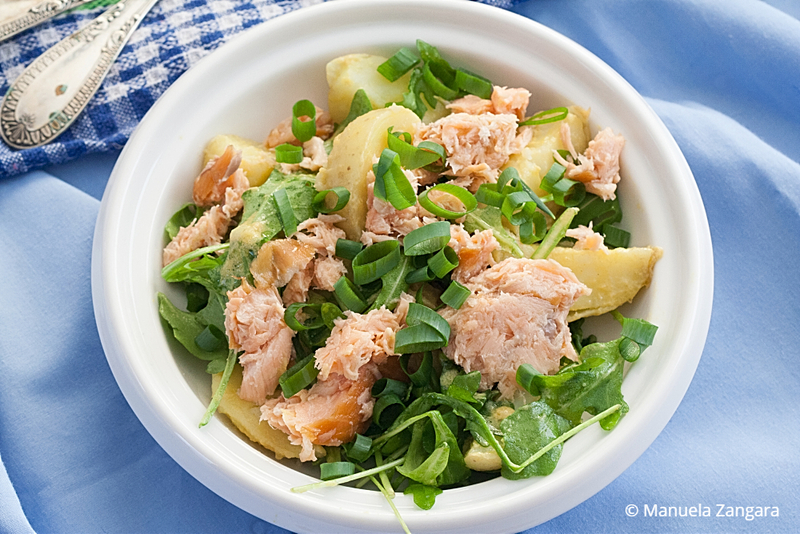 I think that potato, salmon, and rocket are a match made in heaven, as all the flavours come together and balance one another quite nicely. The dressing is another winner. 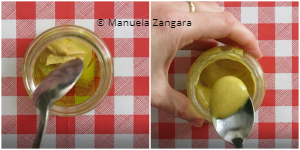 I really like this simple Dijon vinaigrette. 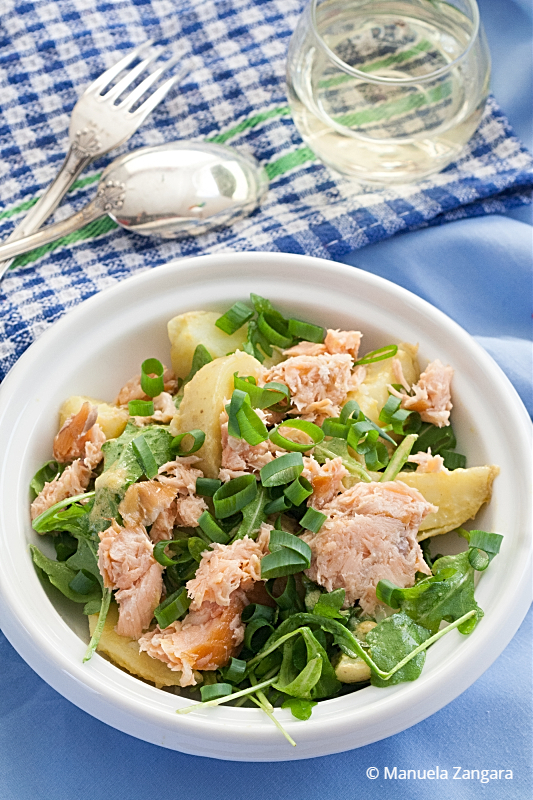 Warm Salmon and Potato Salad – a hearty warm salad of baby potatoes and salmon chunks tossed in a simple Dijon vinaigrette. Perfect for a quick lunch. Put all the ingredients in a small jar. Close it with a tight lid and shake well. Keep aside. 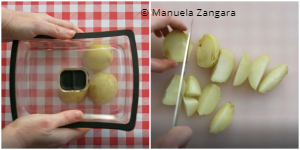 Place the potatoes in a microwave-safe container. Add a little water, cover and microwave them for about 7 minutes, or until cooked through. 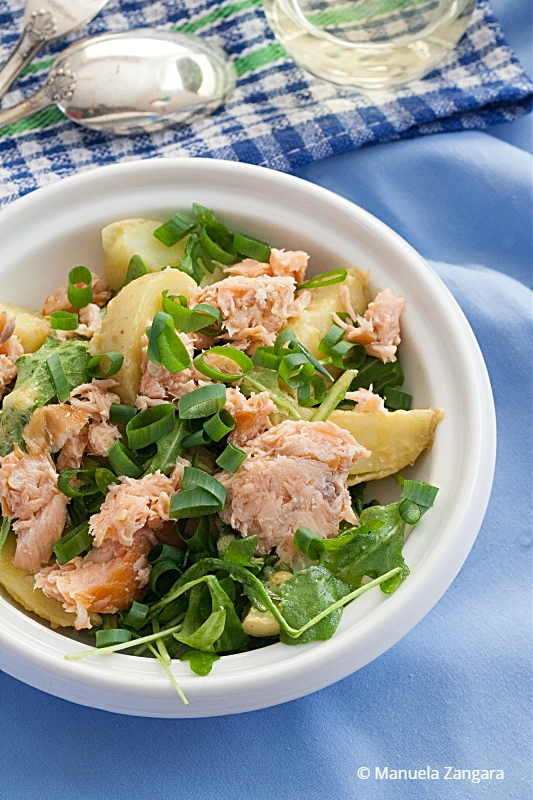 Cut in wedges and put in a bowl. Add the rocket/arugula and mix. 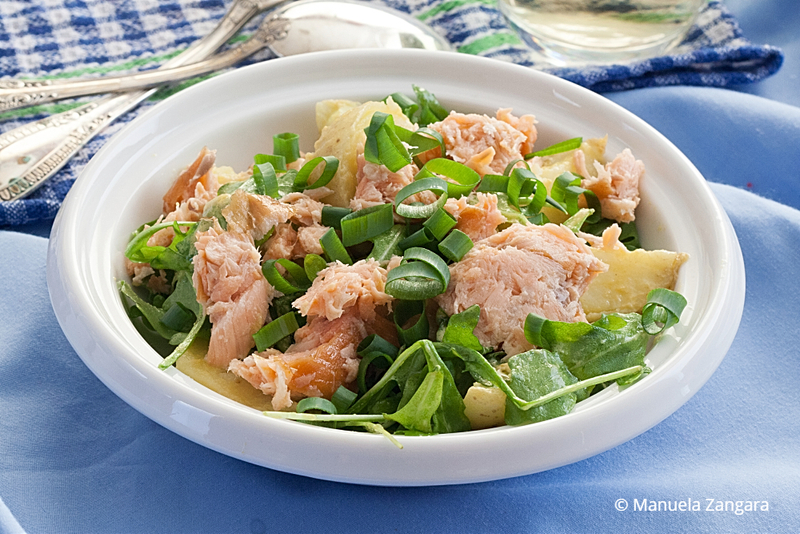 Add the salmon and green spring onion tops, mix and serve warm.